*Võru city administration in Estonia puts Tamula Lake and its surroundings into the service of the local tourism industry. Within a year and a half, a magnet for tourists will be developed. Võru and Aluksne city representatives have signed a partnership contract that allows them to get money from the EU to accomplish their plans. The project will cost EEK 2.4 million (EUR 0.15 million) ; of this, Võru has to pay EEK 1.6 million. 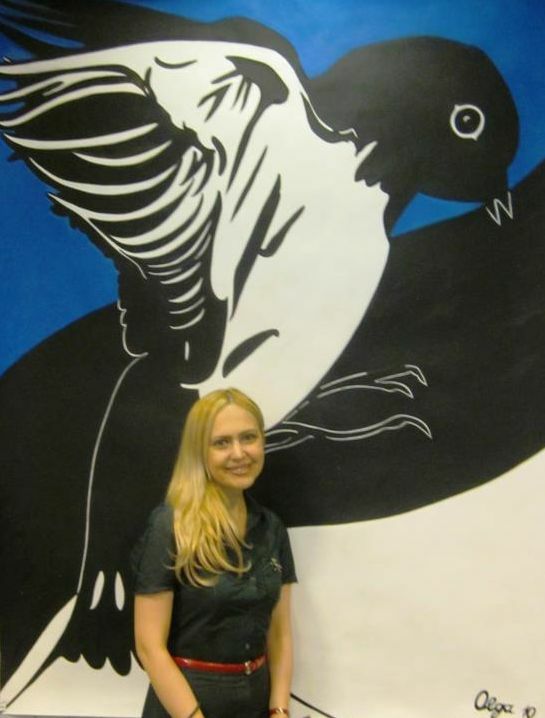 *I have been lucky enough to always have warm and sunny weather while visiting Estonia. It was a treat to sleep with open windows. Texas is hot, and windows are kept closed so as not to burden the air conditioner. My visits have been in summers, but then again Estonia is as far north as Juneau, Alaska, and could be expected to be cooler. An exception to sunny days was the day last summer on which a parade to the song festival grounds was scheduled. Estonia has become a Mecca for tourists. A large number of tourists in Tallinn are Finns. One of my relatives, a waiter in a restaurant, said he could tell the nationality of a tourist from his order : Germans order wurst and Finns like salmon or pepper steak, whereas Estonians are content with simple dishes and beer. It seems that people from the outside are more interested in Estonia’s past visiting historic sites and museums. For example the Museum of Occupations gets a great portion of visitors from among the Finns rather than natives. *TALLINN - The Baltic Assembly, at a Friday session held in the Estonian city of Parnu, addressed the Russian State Duma and Federation Council, demanding that they admit the Soviet Union occupied the Baltic states and pay compensation for the damage done by the communist regime. The Baltic Assembly's message says that "taking into account the approaching 60th anniversary of the conclusion of World War II, and the fact that the end of the war did not bring freedom to all countries of Europe, including the Baltic states, the Baltic Assembly requests the Russian parliament admit the occupation of the Baltic states was a result of the Molotov-Ribbentrop Pact, condemn the injustice and suffering of the Baltic peoples and take measures to compensate for the damage done to Estonia, Latvia and Lithuania by the communist regime forced on them by the Soviet Union." TALLINN - Estonia won't build a controversial monument to honor its men who fought for Nazi Germany, a government office said. The Estonian government said Wednesday that earlier reports about an upcoming opening of the monument to the Estonian pro-Nazi forces, reportedly set to take place in Tallinn on May 8th, are wrong. After gaining independence from the Soviet Union 14 years ago, the Baltic country on several occasions bestowed honors on Estonians who fought alongside Nazi Germany and against the Soviet Union during World War II. *Many companies in the region have taken out loans in euros due to better interest rates. In Hungary euro-denominated retail and household loans are dramatically on the rise. Seventy percent of new corporate loans last year were in a foreign currency, predominantly euros, according to the Hungarian Financial Supervisory Authority. "The most important reasons ... are companies' confidence in the stability of the forint exchange rate and the difference between the relatively high interest rate on forint loans and the relatively low interest rate on foreign currency denominated loans," it said in a recent report. In 2004, 44.5 percent of all corporate loans were foreign currency denominated (mostly euros), up from 35 percent in 2002, while 14.5 percent of household loans were foreign currency denominated, up from 2.9 percent in 2002, the authority said. In Slovakia train and plane tickets abroad, taxi fares and restaurant and hotel bills can all be paid in euros. A Slovenian public opinion poll rated the euro the most trusted "institution". 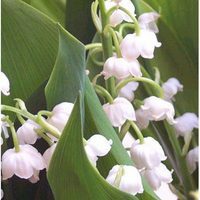 It is a tradition in France that on May 1st, May Day, people will pick wild Lily of the Valley (Muguets in French). Also, it is very common to see roadside stands or people in front of supermarkets selling Lilies of the Valley, often to gather funds for an organization. Traditionally, the flowers are given to friends and family as a symbol of good luck. TALLINN. April 28 (Interfax) - Estonia plans to celebrate Reconciliation Day on May 8th, Prime Minister Andrus Ansip told Interfax on Thursday. "We will celebrate this holiday in compliance with the UN Security Council resolution," he said. Ansip said he would visit the monument to Holocaust victims near the former Klooga prison camp in the vicinity of Tallinn on May 8th. *Twelve months ago, Europe's leaders celebrated the EU's "big bang" expansion from 15 to 25 states. Today, they are staring into a black hole, as the French referendum threatens to rip apart their grand plans overnight. "I am not sure there will be a big candle," said one EU diplomat, referring to the May 1 anniversary of entry into the bloc of 10 countries -- including eight ex-communist states from central Europe -- which marked the continent's historic reunification half a century after it was ripped apart by war. The EU newcomers -- Cyprus, the Czech Republic, Estonia, Hungary, Latvia, Lithuania, Malta, Poland, Slovakia and Slovenia -- of course have much to celebrate after joining the rich club they had worked towards for so long. But even those wanting to fete the first birthday of the enlarged bloc admit that it is clouded by the looming May 29th French referendum on the EU's new constitutional treaty. LIHULA - It was the longest article about a Baltic country I had ever read in a German newspaper. At the end of August 2004, just two days before I left to study in Vilnius, the daily Saddeutsche Zeitung printed a whole page about how Estonia deals with World War II, when its citizens were fighting for the Red Army, for Nazi-Germany and also in Finnish uniforms. A week before, a monument had been unveiled in a small town in Western Estonia. It showed a soldier in a German uniform with a Waffen-SS (combat SS) unit emblem, wearing a steel helmet and holding a machine gun. The engraving had the following text: “To the Estonian men who fought in 1940-1945 against Bolshevism and for the restoration of Estonian independence.” I jotted down the name of the town : Lihula. TALLINN - Eesti Raudtee (Estonian Railway), the privatized rail cargo company, lashed out at the government last week after regulators proposed a set of lower fees that Estonian Railway can charge train operators for use of rail infrastructure. Council Chairman Edward Burkhardt went so far as to announce that the company was freezing plans for a public listing, which is widely regarded as crucial for the further development of the transit enterprise. Last week the Estonian Railway Inspectorate published a draft document setting out the new parameters of fees that Estonian Railway will be able to charge operators for using infrastructure, which the company runs. Since the proposed fees are lower than those currently charged by Estonian Railway, the company alleges it will be impossible to meet planned investments. TALLINN - EMT, the mobile communications subsidiary of the Eesti Telekom group, announced it had 601,400 customers at the end of March, or what the company estimates to be 47 % of the Estonian market. TALLINN - Eesti Energia (Estonian Energy) and the Russian monopolistic power company RAO Unified Energy Systems might build a massive natural gas station in the Russian town of Pskov across the border from Estonia. TALLINN - Watch out, ladies, the sailors have docked. Tallinn’s passenger port will be swimming with captains, admirals, skippers and the occasional pirate May 7th and 8th during the second annual Admiralty Sea-days. And the celebration is no better excuse for landlubbers to get their feet wet. Sea-faring folk will tell you, there’s nothing more beautiful than a wooden schooner, her sails billowing in the wind, her bow rocking with each wave. Iris is her name. And she’s graced Tallinn with her elegant presence. Built in 1940, Iris has had a life-long romance with the Baltic Sea. The Finnish beauty will surely steal more than one man’s heart this year, despite her age. Like last year, Iris will be accompanied by an entourage of historic ships – the submarine “Lembit,” built in 1930 in England, the Swedish steam-boat “Kirvesniemi,” built in 1881, and Russia’s steamship “Admiral,” built in 1955, among other attractive vessels. Guests can vicariously live-out their sailing dreams, invited to explore the ships from stern to bow. TALLINN – Members of the Finno-Ugric Forum in the European Parliament have adopted an action plan for improving the situation of the Finno-Ugric people living in Russia. The action plan also calls for active cooperation in the field of cultural and youth exchanges and on grassroots level. The plan was adopted on April 26, on the day of the Mari Hero, spokespeople for the Information Center of Finno-Ugric People said. Tallinn, Stenbock House, April 27, 2005 – May 8 this year marks the sixtieth anniversary of the end of the Second World War in Europe. On this day, the Government of the Republic commemorates all those who perished in that war. The Government honours the memory of all victims of the Second World War and commemorates May 8 as the memorial day of all victims of the Second World War. The claim made by the media that there would be an unveiling of a memorial for soldiers who fought in German uniform is misleading. The memorial event celebrates reconciliation day. “Estonia does not fight the perished and honours the memory of all those who were destined to die in that war. The guns have fallen silent, let us now forgive in our hearts as well,” Prime Minister Ansip said. The ceremony will take place in Tallinn at the Maarjamäe Memorial Ground dedicated to those who took part of the defensive battles of 1944. The Maarjamäe Memorial is a symbolic site; soldiers of both sides of the battle have been buried there, among them also soldiers of Estonian nationality. Maarjamäe, therefore, symbolizes the tragic fate of the Estonian soldier in the Second World War. May 8-9 has been declared as a time of remembrance and reconciliation by the resolution adopted in November 22 last year by the General Assembly of the United Nations; the declaration also invites member states to observe these days in an appropriate manner and pay tribute to all victims of the Second World War. On the morning of May 8, the Prime Minister will place a wreath at the Holocaust Memorial in Klooga, attend the Mother’s Day service in St. Charles Church where also the victims of the Second World War will be commemorated; after the event at Maarjamäe, there will be a reception for the diplomatic corps to celebrate the end of the Second World War in Europe. On Friday 22nd April, Estonia’s Permanent Representative at the UN Tiina Intelmann and Iraqi representative at the UN Ambassador Samir Shakir Mahmood Sumadaie signed an agreement establishing diplomatic relations between the two countries in New York. Estonian Ambassador to the UN Tiina Intelmann stated that Estonia’s relations with Iraq have in reality existed for some time already. Estonia’s and the international coalition’s mission is more significant than ever – a new, democratic Iraq has to be rebuilt. “Also here Estonia can lend assistance primarily through the UN activities,” Ambassador Intelmann noted. Recently, the UN Security Council emphasised that all layers of the Iraqi population would like to see a stronger UN involvement in rebuilding Iraq. Estonia intends to offer experts to the UN working group helping write the Iraqi Constitution. The Republic of Iraq recognised the Republic of Estonia on 1 January 1992. On 5 August 2004, the Government gave instructions to establish diplomatic relations with the Republic of Iraq. Estonian Defence Minister Margus Hanson visited Iraq from 2-6 November 2004, meetings with Iraqi Defence Minister Hazim al-Shalaani and Commander of the Coalition Forces General George Casey. The Defence Minister also met with the Estonian light infantry platoon ESTPLA-9 and the Estonian cargo handling team CT-3. *Support for NATO has reached its highest level among Estonian citizens and the number of ethnic Estonians supporting the alliance is particularly high. The Polling Centre Faktum’s March 2005 survey showed that 74 % of all respondents supported joining NATO, compared to 72 % in October 2004 and 74 % in June 2004. To the question, how has Estonia’s security situation changed after accession to NATO on 29 March 2004, 46 % of respondents answered that the security situation has improved. 41 % considered the situation unchanged and 3 % believed the situation had worsened. 64 % of all respondents saw NATO membership as one of the most important Estonian security guarantees, this was followed by EU membership 51 and 38 % of respondents found good relations with Russia to be one of the most important. When 10 new countries joined the European Union last May, pessimists warned that it could end in political and economic disaster. Optimists predicted that enlargement would bring benefits, but even they thought it would take years of hard work. In fact, the first year of membership has turned out better for the new members than even the staunchest supporters of enlargement dared hope. TALLINN, April 26 (RIA Novosti's Nikolai Adashkevich) - A memorial "to those who gave their lives for the freedom of Estonia", that is to those who together with the 20th SS division fought against the Red Army in 1944, is to be unveiled in Estonia's capital city of Tallinn on May 8. This is confirmed by Kumo Raude, a board member of the Union for the Liberation of Estonia, uniting war veterans who fought on the side of Nazi Germany, in the ranks of the Estonian 20th SS division as well.